If anything should be made in America, it's the American Flag and we are proud to offer these heavyweight nylon US flags at significant savings. These All-American flags are specially engineered to resist fading, tearing and the shredding. Each flag features embroidered/appliqued stars and sewn stripes. Nylon is a great all-weather material and we guarantee that every flag will stay colorfast for one full year from the date of purchase or we will replace it for you at NO CHARGE. 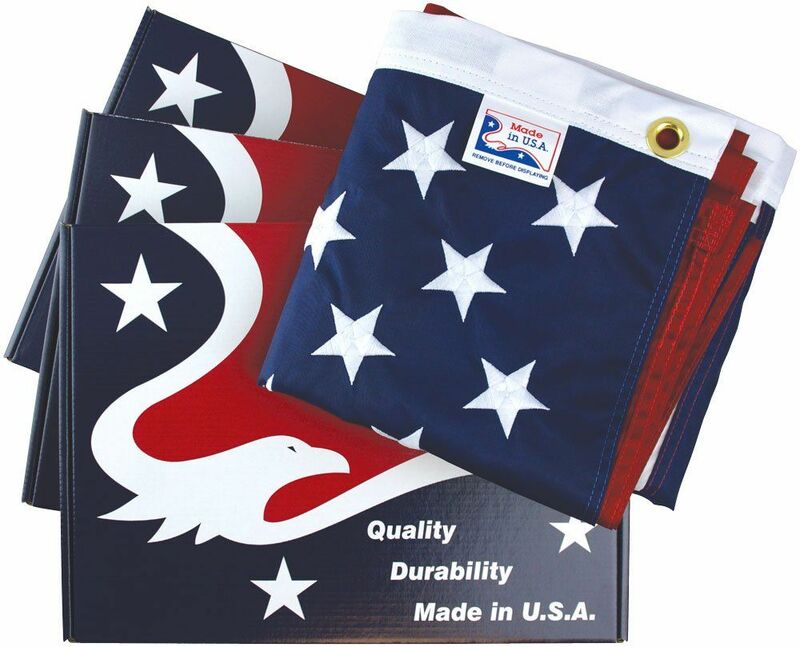 Buy genuine American-Made US flags from AmericanFlags.com, your trusted name in flags.